(DEC 24) NASA has cancelled the launch of its next Mars mission because a key instrument could not be repaired and tested before the 2016 launch opportunity closes. Plans called for an Atlas V rocket to lift off from Vandenberg AFB and send the InSight lander and two prototype communcations satellites to the Red Planet. A leak was discovered in a container designed keep the sensors for the lander's seismic instrument in a vacuum. The sensors must operate in a vacuum to allow the instrument to measure ground movements as small as the diameter of an atom. Launch opportunities for Mars missions occur for a few weeks every 26 months. The opportunity for the InSight mission is March 4 to March 30. 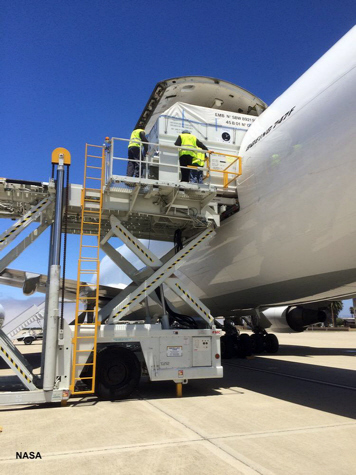 The InSight lander recently arrived at Vandenberg AFB. However, because of the cancellation, the spacecraft will be returned to Lockheed Martin in Denver, Colorado. "The Japan Ministry of Defense (MOD) Acquisition, Technology and Logistics Agency (ATLA) and the U.S. Missile Defense Agency (MDA), in cooperation with the U.S. Navy, announced the successful completion of a Standard Missile-3 (SM-3) Block IIA flight test from the Point Mugu Sea Range, San Nicolas Island, California. This test, designated SM-3 Block IIA Cooperative Development Controlled Test Vehicle-02, was a live fire of the SM-3 Block IIA. The missile successfully demonstrated flyout through kinetic warhead ejection. No intercept was planned, and no target missile was launched. Program officials will evaluate system performance based upon telemetry and other data obtained during the test. The SM-3 Cooperative Development Project is the joint U.S.-Japan development of a 21-inch diameter variant of the SM-3, designated Block IIA, to defeat medium- and intermediate-range ballistic missiles. Aegis Ballistic Missile Defense (BMD) is the naval component of the U.S. Ballistic Missile Defense System (BMDS). The MDA and the U.S. Navy cooperatively manage the Aegis BMD program." (DEC 4) An instrument problem has raised concerns whether NASA's next Mars mission can launch as scheduled from Vandenberg AFB on March 4. An Atlas V rocket is slated to lift off from the California coast and send the InSight lander and two prototype communications satellites to the Red Planet. 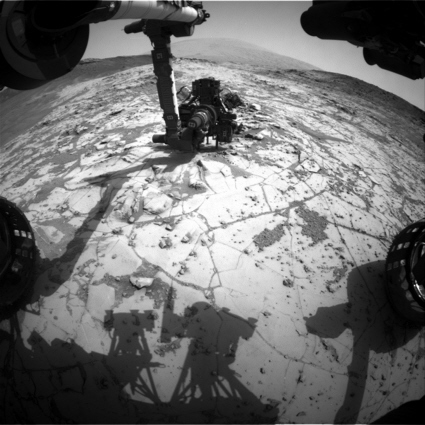 After a sphere that holds seismometers for the lander's seismic instrument was evacuated and sealed, a leak was detected. The seismometers must operate in a vacuum to provide extreme the sensitivity required to detect extremely small ground motion. The French space agency is working to fix the problem before the instrument is shipped to Vandenberg for integration with the InSight lander. NASA and the French space agency are committed to a March launch. (NOV 23) SACRAMENTO, Calif. - Aerojet Rocketdyne, a subsidiary of Aerojet Rocketdyne Holdings, Inc. (NYSE: AJRD), was awarded a contract by NASA to restart production of the RS-25 engine for the Space Launch System (SLS), the most powerful rocket in the world and designed for the Journey to Mars. (NOV 14) A NASA rocket is scheduled for launch from the New Mexico desert early on the morning of November 16. 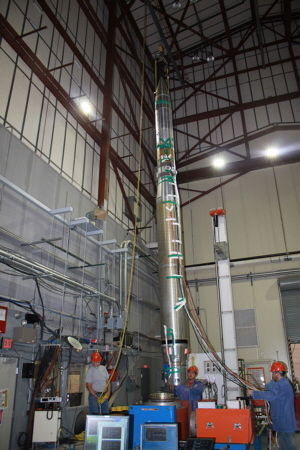 The Black Brant IX rocket is slated to lift off from White Sands Missile Range at 12:30 a.m. Mountain Time and carry an experimental telescope from the University of Massachusetts at Lowell to the edge of space. The instrument will collect images of the space around the star Epsilon Eridani before the rocket falls back to Earth and lands by parachute. If the sky is clear, the launch could be visible to the naked eye for several miles. 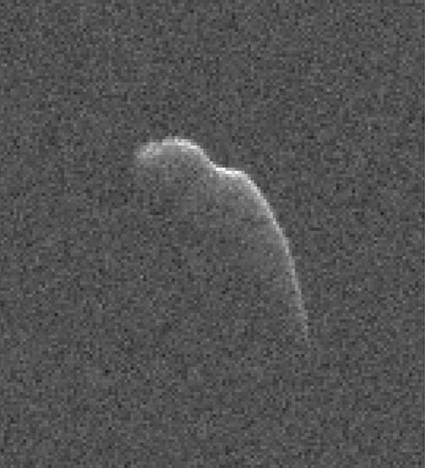 (NOV 8) The unusual light show observed last night from California and outlying areas was the unannounced launch of an unarmed Trident II (D5) submarine launched ballistic missile. The Trident was launched off of the southern California coast by the submarine USS Kentucky. The interesting display was caused by the missile's exhaust plume being illuminated at high altitude by the Sun's rays after the sun had set for observers on the ground. 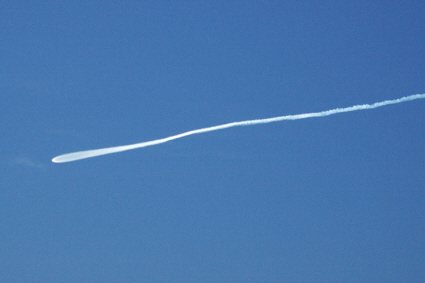 Trident launches occur off of the California coast from time to time. However, the Navy does not announce in advance that a launch is scheduled. (OCT 14) WASHINGTON, DC - NASA's Launch Services Program (LSP) has awarded multiple Venture Class Launch Services (VCLS) contracts to provide small satellites (SmallSats) -- also called CubeSats, microsats or nanosatellites -- access to low-Earth orbit. At present, launch opportunities for small satellites and science missions mostly are limited to rideshare-type arrangements, flying only when space is available on NASA and other launches. The services acquired through these new contract awards will constitute the smallest class of launch services used by NASA. (OCT 8) VANDENBERG AIR FORCE BASE, Calif. - Team Vandenberg successfully launched the United Launch Alliance Atlas V rocket carrying a National Reconnaissance Office payload from Space Launch Complex-3 here Thursday, Oct. 8, at 5:49 a.m. PDT. Col. J. Christopher Moss, 30th Space Wing commander, was the launch decision authority. "This launch was an great achievement for Team Vandenberg, ULA, NRO and our launch partners," said Moss. "Their outstanding professionalism and team work ensured a fantastic launch and I am proud to work with this team of experts in support of national defense." (SEP 16) TUCSON, Ariz. -- The Missile Defense Agency awarded Raytheon Company (NYSE: RTN) $87 million to purchase long-lead materials needed to produce up to 17 Standard Missile-3 Block IIAs that will be used for testing and initial deployment. A follow-on contract for the additional materials, parts and components is expected by early 2016. "Our Japanese partners have been tremendous allies in this development program, and together we've taken ballistic missile defense to the next level," said Dr. Taylor W. Lawrence, Raytheon Missile Systems president. "When the SM-3 Block IIA deploys in 2018, we will have a greater degree of protection than ever before." The SM-3 Block IIA has larger rocket motors and a bigger, more capable kill vehicle that allows it to take out threats sooner in flight and protect larger regions of land. "The SM-3 Block IIA can be used at sea or on land with no modification to the missile," said Amy Cohen, Standard Missile-3 program director. "The SM-3 is the only ballistic missile defense interceptor that can be deployed both ways, and that flexibility is a tremendous asset." The program is on track for both land and sea deployment in 2018 in line with Phase 3 of the U.S.'s Phased Adaptive Approach for missile defense of U.S. deployed forces and allies in NATO Europe. (SEP 2) COLORADO SPRINGS, Colo. -- Raytheon (NYSE: RTN) will speed up growth of its Colorado Springs presence after signing a $700 million multi-year indefinite-delivery/indefinite-quantity contract to support operations at NORAD's Cheyenne Mountain Complex. (AUG 25) Mars enthusiasts around the world can participate in NASA's journey to Mars by adding their names to a silicon microchip headed to the Red Planet aboard NASA's InSight Mars lander, scheduled to launch next year. 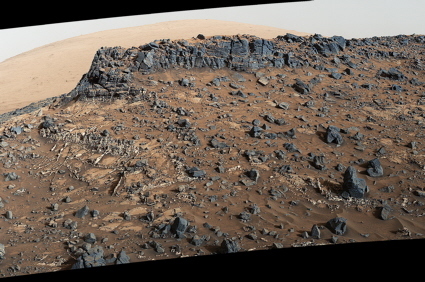 "Our next step in the journey to Mars is another fantastic mission to the surface," said Jim Green, director of planetary science at NASA Headquarters in Washington. "By participating in this opportunity to send your name aboard InSight to the Red Planet, you're showing that you're part of that journey and the future of space exploration." (AUG 14) TUCSON, Ariz. -- The U.S. Missile Defense Agency awarded Raytheon Company (NYSE: RTN) a $9,775,608 competitive cost-plus-fixed-fee contract for a Multi-Object Kill Vehicle concept that can destroy several objects within a threat complex by considering advanced sensor, divert and attitude control and communication concepts. "We fully support the Missile Defense Agency's goal of increasing the effectiveness and reliability of our homeland defense by exploring a wide range of capabilities against long-range ballistic missiles and using proven technologies combined with innovative designs," said Dr. Thomas Bussing, vice president of Advanced Missile Systems. Raytheon will define critical functional aspects of the concept and propose risk mitigation activities by assessing the technical maturity of the concept, prioritizing and nominating risk reduction tasks for all critical components and describing how the tasks will reduce risk. In addition, a proof-of-concept prototype demonstration program will be defined. The work will be performed in Tucson, AZ and Huntsville, AL, by Raytheon's Advanced Missiles product line with an estimated completion date of May 2016. (AUG 7) NASA is launching an official Tumblr profile that will give Tumblr users a regular dose of space in a blog-like format through text, photos, videos and more. Tumblr is a social media platform that allows users to connect and follow other content creators in a collaborative micro-blog format. People are able to discover, share and create content that expresses their personality, hobbies and interests. The NASA Tumblr profile will share information, images and video about the agency's missions of exploration and discovery. (JUL 24) The Falcon 9/Jason-3 launch that was tentatively scheduled for the evening of August 8th from Vandenberg AFB appears to have been delayed until the fall. The delay comes in the wake of a failed Falcon 9 rocket launch from Florida in late June. (JUL 7) DENVER - A new development center will advance satellite sensing and communication technologies, broadly known as Radio Frequency (RF) payloads, at the Lockheed Martin (NYSE: LMT) facility in Denver. The RF Payload Center of Excellence will focus on developing reconfigurable payloads and advancing satellite systems that many already rely on, from high-def television broadcasts to GPS transmissions and secure government communications. The RF Payload Center of Excellence reduces cost and accelerates development by uniting researchers, manufacturers and analysts in one organization. Bringing people together improves schedule, reduces transportation costs and enhances collaboration between related teams. RF payload components are important for all space missions. In fact, one or more RF subsystems are embedded in every spacecraft Lockheed Martin produces. Using its partnerships with suppliers and research universities, the center will develop a variety of technologies commonly incorporated in RF payloads, such as antennas, arrays and transmitters for the full spectrum of bandwidth. (JUL 5) An in-flight abort test of SpaceX's Dragon spacecraft scheduled for this fall from Vandenberg AFB has been moved to Kennedy Space Center, Florida. The unmanned test of the prototype manned vehicle was also delayed. The test is now planned to take place after the unmanned orbital test flight of a Dragon crew transport spacecraft. (JUN 12) SANTA BARBARA, Calif. - Jupiter, Venus and a small crescent moon come into alignment this month, but it may be views of Saturn that steal the show at a free public viewing of the stars Friday, June 19, at 8 p.m. at the Westmont Observatory. 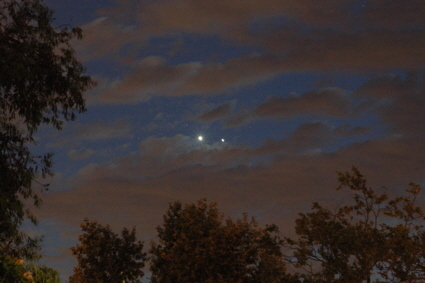 Jupiter and Venus and the moon form a skewed triangle that will be easily visible after sunset in the western sky. "It will be a real treat for the naked eye, but not one that will fit into the field of view of Westmont's telescopes," says Thomas Whittemore, Westmont physics instructor. The best viewing generally occurs later in the evening. In case of inclement or overcast weather, please call the Telescope Viewing Hotline at (805) 565-6272 and check the Westmont website to see if the viewing has been canceled. As the night goes on, Whittemore says he will aim the powerful Keck Telescope toward Saturn, which now lies to the west of Scorpius. 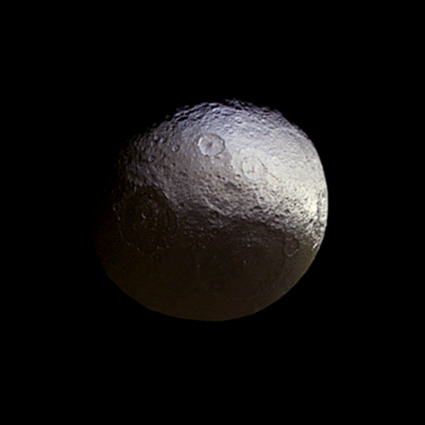 "If the weather cooperates, we should be able to see the famous Cassini Division between the A and B rings, some banding on Saturn's surface and several moons," he says. A Minuteman III missile arcs across the sky following launch from Vandenberg AFB early on the morning of May 20. 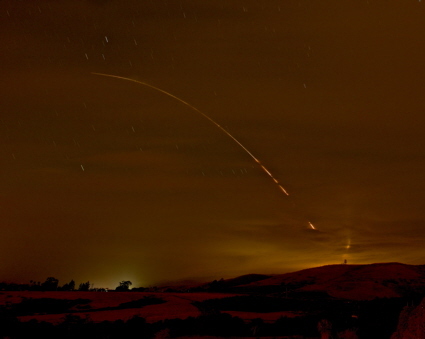 Glenn Beltz recorded this time exposure of the launch from the Winchester Canyon area of Goleta, Calif. Image copyright 2015, Glenn Beltz. Used with permission. (MAY 20) The U.S. Air Force and media sources report that a Minuteman III strategic missile was launched at 03:36 PDT this morning from Vandenberg AFB. The launch was heard as far away as Pismo Beach. Clouds hampered launch viewing for many observers, but some were able to see the event. The most distant reported sighting of the launch was from Visalia, Calif.
(MAY 18) VANDENBERG AIR FORCE BASE, Calif. - An operational test launch of an Air Force Global Strike Command unarmed Minuteman III intercontinental ballistic missile is scheduled for Wednesday, May 20, 2015, between 3:36 a.m. and 9:36 a.m. from north Vandenberg Air Force Base. The purpose of the ICBM test launch program is to validate and verify the effectiveness, readiness and accuracy of the weapon system, according to Air Force Global Strike Command. "The launch process requires tremendous teamwork and involves months of preparation," said Balts. "The data gained from these launches allows us to maintain a high readiness capability and ensures operational effectiveness of the most powerful weapons in the nation's arsenal." The launch team, under the direction of the 576th Flight Test Squadron, includes crew members and maintainers from the 90th Missile Wing, F.E. Warren AFB, Wyoming. (APR 6) SACRAMENTO, Calif. - Aerojet Rocketdyne, a GenCorp (NYSE: GY) company, has been awarded a contract worth approximately $18 million from NASA Glenn Research Center to complete the development of NASA's Evolutionary Xenon Thruster-Commercial (NEXT-C) Gridded Ion Thruster System. The NEXT-C Gridded Ion Thruster System is designed to power government and commercial spacecraft to deep-space destinations faster, farther and more fuel efficiently than any other propulsion technology currently available. Under the contract, Aerojet Rocketdyne will complete the development of both the NEXT-C Gridded Ion Thruster System and power processing units (PPUs), and deliver two complete flight systems to NASA. The PPUs convert the electrical power generated by the solar arrays into the power needed for each component of the thruster. According to NASA, the NEXT System is capable of performing a variety of missions to deep-space destinations such as Mars and the outer planets while reducing cost and trip time. In 2013, NASA completed a record-setting 50,000-hour lifetest of the NEXT-C Gridded Ion Thruster System, establishing the performance and lifetime capabilities required for a wide range of demanding missions. Operating at three times the power level of the current low-power NASA systems, the NEXT-C Gridded Ion Thruster System produces three times the thrust level. This higher-power operating capability enables commercial applications in addition to science missions. 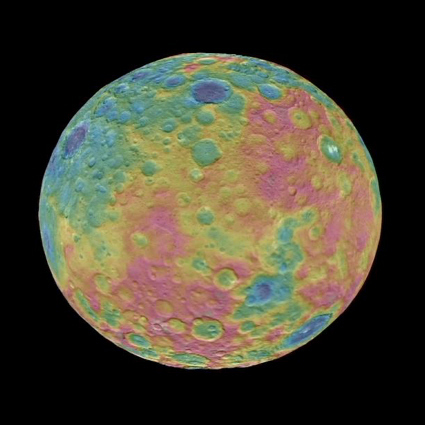 (MAR 31) NASA has announced the release of Vesta Trek, a free, web-based application that provides detailed visualizations of Vesta, one of the largest asteroids in our solar system. -- Interactive maps with the ability to overlay a growing range of data sets including topography, mineralogy, abundance of elements and geology, as well as analysis tools for measuring the diameters, heights and depths of surface features and more. -- 3-D printer-exportable topography so users can print physical models of Vesta's surface. -- Standard keyboard gaming controls to maneuver a first-person visualization of "flying" across the surface of the asteroid. 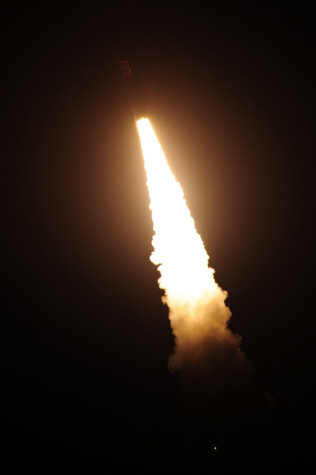 (MAR 27) VANDENBERG AIR FORCE BASE, Calif. - A team of Air Force Global Strike Command Airmen launched an unarmed Minuteman III intercontinental ballistic missile equipped with a test reentry vehicle today at 3:53 a.m. Pacific Daylight Time from Vandenberg Air Force Base, California. The test reentry vehicle impacted in a pre-established test area in the Pacific Ocean near the island of Guam approximately 40 minutes after launch. All test launches verify the accuracy and reliability of the ICBM weapon system, providing valuable data to ensure a safe, secure and effective nuclear deterrent. 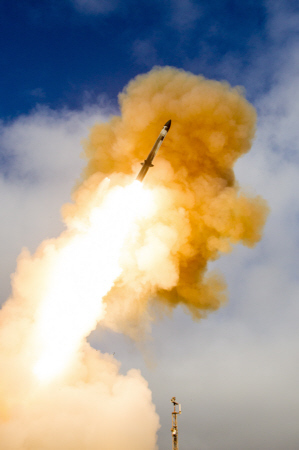 The launch team, under the direction of the 576th Flight Test Squadron, Vandenberg AFB, included Airmen from the 341st Missile Wing at Malmstrom AFB, Montana and was the second test launch of a Minuteman III this week. The 576th Flight Test Squadron and 90th Missile Wing, F.E. 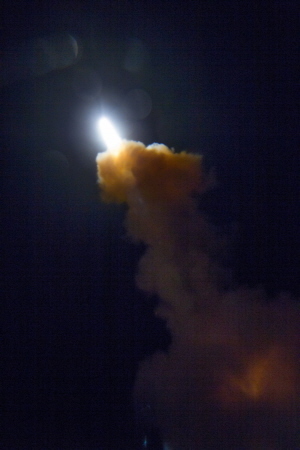 Warren AFB, Wyoming, completed the first unarmed Minuteman III launch of the week from Vandenberg AFB March 23. "An operational test launch requires hard work, months of preparation, and outstanding teamwork between personnel on both bases," said Lt. Col. Daniel Hays, the 341st Missile Wing Task Force Commander. "These launches are a visible reminder to both our adversaries and our allies of the readiness and capability of the Minuteman III weapon system, and without the dedication of the men and women from both the 576th and the 341st, this test could not have happened." "The two launches from the past week were a full team effort between the 576th, and the 90th and 341st Missile Wings," said Col. Kelvin Townsend, 576th Flight Test Squadron commander. "Launching multiple missiles in close proximity to each other adds an extra amount of realism to the operational test mission we fulfill here. These test launches occur due to the training and strict attention to detail our people have; resulting in a reliable test." Malmstrom and Warren AFBs are two of three missile bases with crew members standing alert 24-7 year round, overseeing the nation's 450 ICBM alert forces. The ICBM community, including the Department of Defense, the Department of Energy, and U.S. Strategic Command will use the data collected from this mission for continuing force development evaluation. 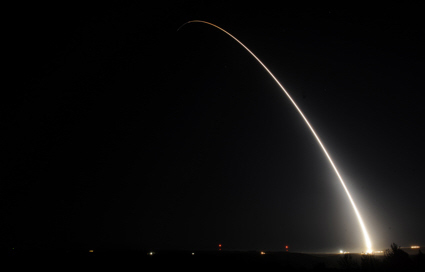 The ICBM test launch program demonstrates the operational credibility of the Minuteman III and ensures the United States' ability to maintain a strong, credible nuclear deterrent as a key element of U.S. national security and the security of U.S. allies and partners. (MAR 23) VANDENBERG AIR FORCE BASE, Calif. - A team of Air Force Global Strike Command Airmen launched an unarmed Minuteman III intercontinental ballistic missile equipped with a test reentry vehicle today at 3:36 a.m. Pacific Daylight Time from Vandenberg Air Force Base, California. Every test launch verifies the accuracy and reliability of the ICBM weapon system, providing valuable data to ensure a safe, secure and effective nuclear deterrent. The launch team, under the direction of the 576th Flight Test Squadron, Vandenberg AFB, included Airmen from the 90th Missile Wing at F. E. Warren AFB, Wyoming. "A lot of work and preparation goes in to an operational test launch from the teams on both bases," said Lt. Col Tytonia Moore, 90th MW, Task Force commander. "With these launches, we not only verify our processes and the ICBM weapon system, we provide a visual to the world that the Minuteman III is capable of striking pretty much anywhere with extreme precision." "The role we play here is vital to the testing and evaluation of the Minuteman III program," said Col. Kelvin Townsend, 576th Flight Test Squadron commander. "We ensure the facilities and framework are in place to conduct operational test launches in a safe and secure manner with multiple team players contributing to the reliability of the test." F. E. Warren AFB is one of three missile bases with crew members standing alert 24-7 year round, overseeing the nation's 450 ICBM alert forces. 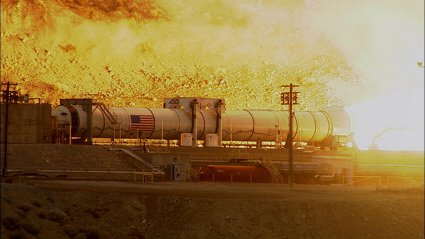 (MAR 4) The largest, most powerful booster ever built for NASA's new rocket, the Space Launch System (SLS), will fire up for a ground test at 11:30 a.m. EDT (9:30 a.m. MDT) Wednesday, March 11, at Orbital ATK Propulsion Systems' test facilities in Promontory, Utah. The two-minute static test is a significant milestone for the SLS as part of NASA's journey to Mars, and follows years of development. It is one of two ground tests to qualify the booster for flight. A second test is planned for early 2016. Once qualification is complete, the hardware will be ready to help send the rocket, along with NASA's Orion spacecraft, on its first flight test. A public viewing area is available along State Road 83 North approximately 20 miles west of Corinne, Utah. The gate to the public viewing area opens at 7 a.m. MDT Wednesday. Overflow parking is available, if needed. 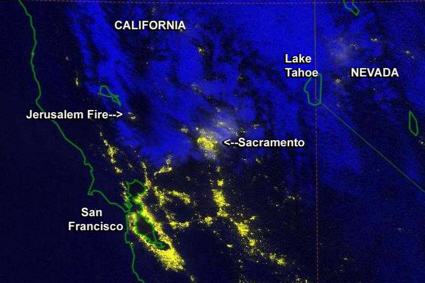 (MAR 1) Observers across a wide area of the Southwest were treated to an unusual light show last Wednesday morning thanks to an Air Force experiment launched from White Sands, NM. A Terrier-Black Brant sounding rocket lifted off from White Sands Missile Range at 5:26 a.m. Mountain Standard Time and released small amounts of samarium vapor in near-Earth space to create clouds of plasma, or ionized gas. The purpose of the Air Force Research Laboratory experiment was to study the processes responsible for formation of the Earth's ionosphere. According to media reports, the experiment produced a purple steak or pink cloud that was seen in Arizona and New Mexico. (FEB 17) SANTA BARBARA, Calif. - The gas giant Jupiter will be the star attraction at this month's free public viewing on Friday, Feb. 20, beginning at 6:30 p.m. and lasting several hours at the Westmont Observatory. In case of inclement or overcast weather, please call the Telescope Viewing Hotline at (805) 565 -6272 and check the Westmont website to see if the viewing has been canceled. Rising in Leo, Jupiter will be in good position for viewing in the early evening. "Since Jupiter has passed through opposition recently - and now rising just before the sun sets - we may be lucky enough to see a shadow cast onto its surface by one of its large moons," says Thomas Whittemore, Westmont physics instructor. The viewing may also feature the Orion Nebula, M42. 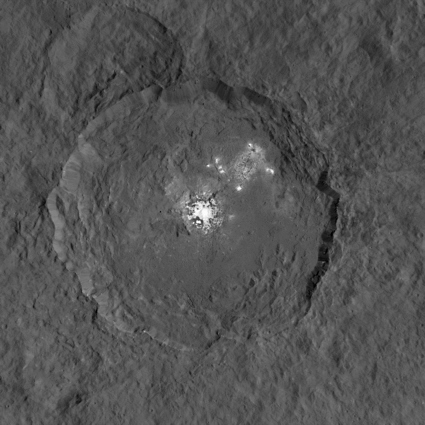 "Orion is high in the sky by 8 p.m.," Whittemore says. "If the seeing is good this evening, we may be able to see six of the Trapezium stars in the heart of the nebula with Westmont's 24-inch reflector telescope." The Milky Way, which contains a number of open clusters, is high in the winter sky and a popular viewing subject. "One of my favorites, M35 in Gemini, is a chain of stars with all sorts of subtle color variations," he says. "This particular object will be best viewed in Westmont's 8-inch refractor." Mars and Venus are putting on quite a show in the west, although their alignment will make them unobservable with Westmont's telescopes. "By Friday evening, they will be about a degree or so apart in this chance alignment," he says. "The proximity of the creamy-colored (and bright) Venus with the fiery-red (and much dimmer than Venus) Mars yields a wonderful color contrast between the two objects. The public will be able to see this pairing early in the evening and with their bare eyes, but by 8 p.m. both objects will have set in the southwest." (FEB 12) LONG BEACH, Calif. - Virgin Galactic, the privately-funded space company owned by Sir Richard Branson's Virgin Group and Abu Dhabi's Aabar Investments PJS, is pleased to announce it has leased a new 150,000 square foot facility that will house design and manufacturing of the company's small satellite launch vehicle, LauncherOne. LauncherOne is a new two-stage orbital launch vehicle being designed by Virgin Galactic specifically to launch commercial or governmental satellites that weigh 500 pounds (225 kilograms) or less. Much like SpaceShipTwo, the company's reusable vehicle for space tourism, LauncherOne is designed to be launched from the WhiteKnightTwo carrier aircraft, giving customers the ability to avoid crowded and expensive launch ranges while also picking the launch location best suited for their mission. Located at the Long Beach Airport, this new facility will allow easy transportation of rockets and of customers' satellites using WhiteKnightTwo. 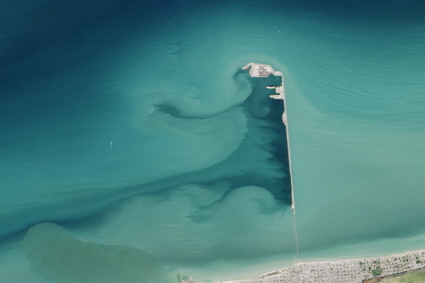 With a launch price aimed to be the lowest in the nation or perhaps the world, LauncherOne has already attracted the interest of numerous small satellite manufacturers and operators. 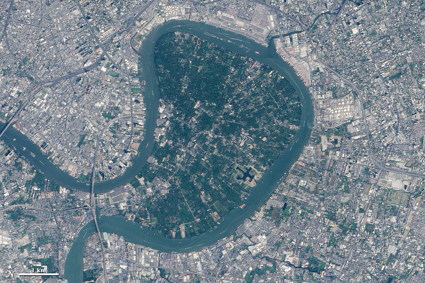 Among them is the recently announced OneWeb project designed to deliver broadband services to areas of the world not currently served by terrestrial networks. This and other ambitious projects are expected keep the Long Beach facility busy for many years to come. 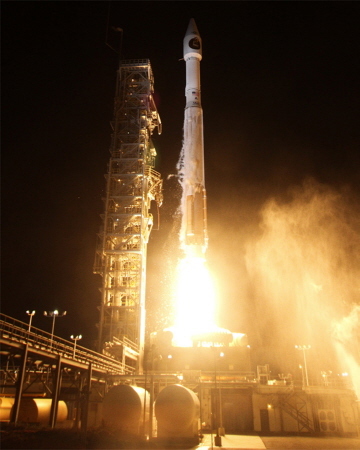 (JAN 31) Vandenberg Air Force Base, Calif. - A United Launch Alliance (ULA) Delta II rocket carrying the Soil Moisture Active Passive (SMAP) payload for NASA lifted off from Space Launch Complex-2 at 6:22 a.m. PST today. This launch marks ULA's second launch of 13 planned for 2015, and the 93rd successful mission since the company was formed. "Congratulations to the NASA Launch Services Program team, JPL and all of our mission partners on today's successful launch of the SMAP satellite," said Jim Sponnick, ULA vice president, Atlas and Delta Programs. "It is our honor to launch this important Earth science mission to help scientists observe and predict natural hazards, and improve our understanding of Earth's water, energy and carbon cycles." The SMAP mission was launched aboard a Delta II 7320 configuration vehicle featuring a ULA first stage booster powered by an Aerojet Rocketdyne RS-27A main engine and three Alliant Techsystems (ATK) strap-on solid rocket motors. An Aerojet Rockedyne AJ10-118K engine powered the second stage. The payload was encased by a 10-foot-diameter composite payload fairing. 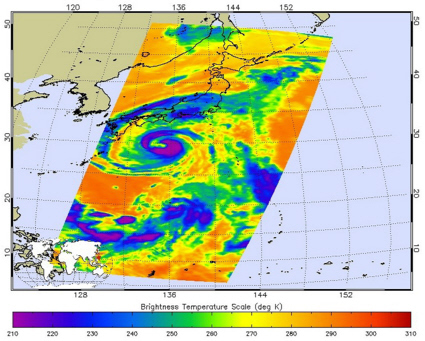 The SMAP mission is NASA's first Earth-observing satellite mission designed to collect global observations of surface soil moisture and its freeze/thaw state, data that have broad applications for science and society. (JAN 22) VANDENBERG AIR FORCE BASE, Calif. - Team Vandenberg is scheduled to launch a NASA satellite on a United Launch Alliance rocket from Space Launch Complex-2 here Thursday, Jan. 29, at 6:20 a.m. PDT. The Delta II rocket will carry NASA's Soil Moisture Active Passive; the first Earth-observing satellite. Col. Shane Clark, 30th Space Wing vice commander, will be the Launch Decision Authority. "We are excited to take on our first launch of 2015," said Clark. "Every launch takes dedication and teamwork. I am extremely proud of the team and our strong partnership with NASA. Everyone involved has been working tirelessly to ensure this is a safe and successful launch." 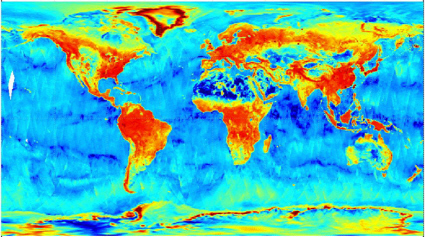 SMAP is designed to collect global observations of surface soil moisture and its freeze/thaw state. High resolution space-based measurements of soil moisture and whether the soil is frozen or thawed will give scientists a new capability to observe and predict natural hazards of extreme weather, climate change, floods and droughts, and will help reduce uncertainties in the understanding of Earth's water and carbon cycles. (JAN 8) SANTA BARBARA, Calif. - The Comet Lovejoy will tantalize stargazers at this month's free public viewing of the stars with Westmont's powerful Keck Telescope on Friday, Jan. 16, beginning at 6:30 p.m. and lasting several hours at the Westmont Observatory. In case of inclement or overcast weather, please call the Telescope Viewing Hotline at (805) 565-6272 and check the Westmont website to see if the viewing has been canceled. The Comet Lovejoy, C/2014 Q2, is making its closest approach to earth, 44 million miles away. "I've been watching it from our back yard for the last week and it's a bright one," says Thomas Whittemore, Westmont physics instructor. "It's almost a naked-eye object at this point, and at the public viewing, there will be no moon to interfere with the comet's brightness. I have yet to see a tail on Lovejoy, but maybe we will get lucky with Westmont's 8-inch refractor telescope." Whittemore says he will use the Keck Telescope, a 24-inch reflector, to zoom in on the Orion Nebula. "This 1,400 light-year-distant stellar nursery is always a wintertime treat," he says. Weather permitting, the viewing may also include the Crab Nebula in Taurus. 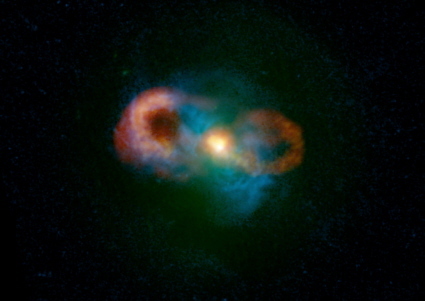 "Viewed across the world in 1054, there are many records of this supernova explosion," Whittemore says. "Today we see the remnants of the exploded star as Messier 1, the Crab Nebula. To me, even through a moderate-sized telescope, the nebula's structure looks like a splash of milk." (JAN 4) Sky watchers have a good opportunity to see the elusive planet Mercury at dusk this month. Since Mercury's orbit is so close to the Sun, the planet never strays far from the Sun's glare as seen from Earth, making Mercury difficult to find and identify. However, this month, Mercury climbs out of the Sun's glare and is easy to spot and identify thanks to a bright celestial landmark. From January 2 to 16, Mercury lies within 5 degrees of the much brighter planet Venus. To find Mercury, look low in the west-southwest 30 to 50 minutes after sunset. Locate silvery-white Venus. Then look below and to the right of Venus for Mercury, which resembles a much fainter, star-like object. The pairing of the two planets is most impressive on the evening of January 10 when Venus and Mercury are separated by slightly more than 1/2 of a degree. Although Mercury and Venus appear to be close to one another this month, their apparent proximity is an illusion. The two planets are lined up in such a way that they happen occupy the same part of the sky as seen from Earth. In reality, the planets are separated by many millions of miles.